Settle in with the oversized Chair that is luxurious and inviting. The Chair is deep with plush cushions drawing you in and giving you a comfortable place to sit back and relax. 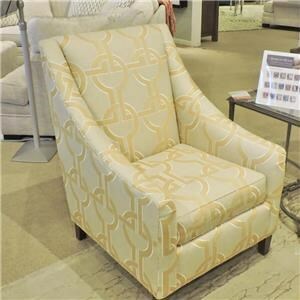 With a transitional style, the Chair features rolled arms, nailhead detailing, and carved square feet. 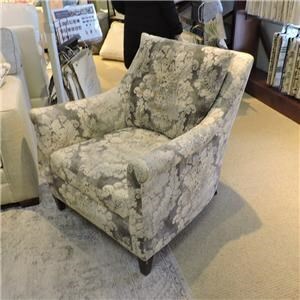 Complete your living room by adding the Chair for additional seating or use it alone giving you an ideal reading chair. 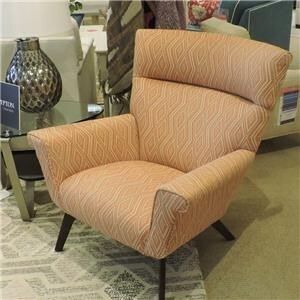 The 7107 Leather Chair / Nailhead Trim by Huntington House at Belfort Furniture in the Washington DC, Northern Virginia, Maryland and Fairfax VA area. Product availability may vary. Contact us for the most current availability on this product. Express your style with the 7107 Collection customizing your space to come to life. The collection features a variety of upholstered seating making everything fit just right in your living room. With a transitional style, the collection features rolled arms, nailhead trim and exposed square feet. Not only are the pieces stylish but lend comfort and support with plush cushions, welt cording and loose backs. With top quality, the collection is made in the USA giving you classic, timeless furniture. 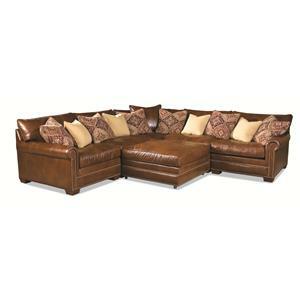 The 7107 collection is a great option if you are looking for Traditional furniture in the Washington DC, Northern Virginia, Maryland and Fairfax VA area. 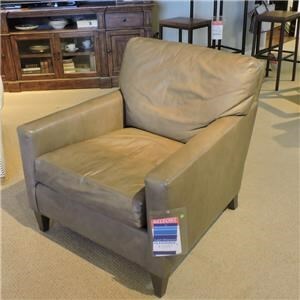 Browse other items in the 7107 collection from Belfort Furniture in the Washington DC, Northern Virginia, Maryland and Fairfax VA area.